Most people remember Lou Rawls for his silky-smooth vocal delivery and his disco era hit “You’ll Never Find Another Love Like Mine,” but by the time he had that hit in 1976, Rawls had already been recording albums, and yes many hits, for 14 years. 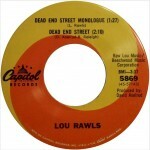 The flip of today’s single was one of Rawls’ patented soul monologue hits called “Dead End Street” which painted a bleak picture of Chicago ghetto life circa 1967. 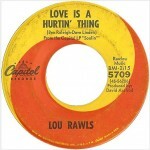 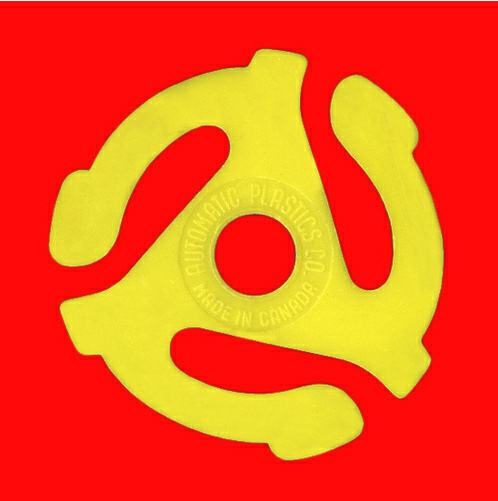 The song was originally on Rawls’ David Axelrod-produced 1967 album called Too Much.